Hi everyone! Have you ever hear about this online shop called Zaful? Well, I discovered it a few weeks ago and I must say that it has a few goodies. 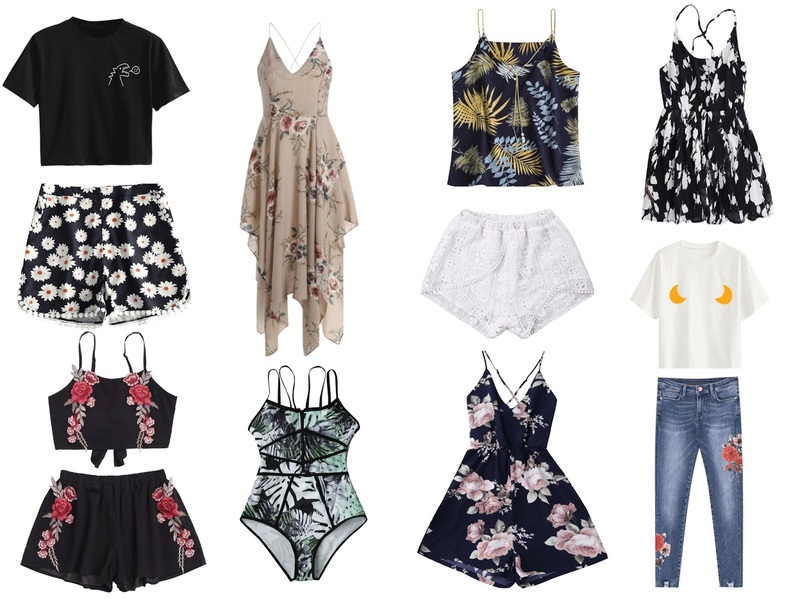 And since it's spring I decided to write this post talking and showing you some pieces of clothing that I found interesting in the shop. A lot of things in the shop are not exactly my style and my body type but still really pretty! I chose two t-shirts, one tank top, two shorts, one two-piece outfit, a swimsuit, a dress and a short overall. Have you ever bought anything in this shop?